At the end of each term, the Wolf Class holds a raffle. We get tickets every time we do an amazing piece of homework, work in class or our behaviour is amazing. This means that some of us had a lot of raffle tickets in the box! Miss C-G chose four tickets and each one won a prize. 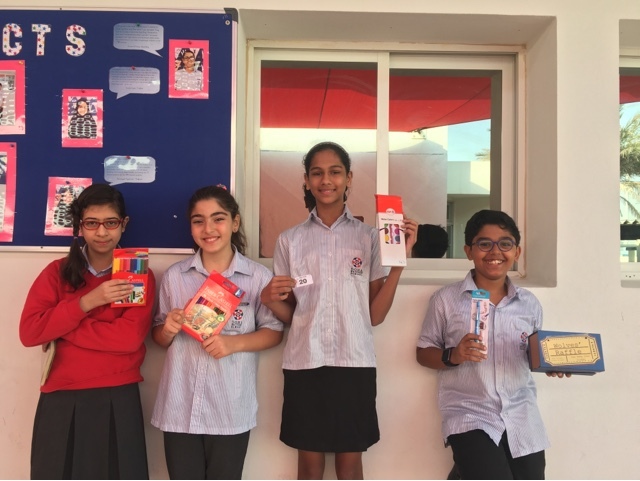 Well done to the lucky winners, Anya, Youssef, Habiba and Maya. Keep working hard guys, you might me the lucky one next time. Remember the more tickets the more chance of winning!